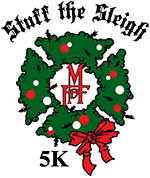 Details: 5K night run benefiting the Milan Fire Dept's annual toy drive to help make Christmas a happier time of year for local families in need. This will be the second year we've done anything like this, last year was fun! It will be a night run starting at Milan Safety Complex. Pre-registration will be at 6PM and the race will start at 7PM. Early registration is $20 and includes a t-shirt. Day of registration is $25. If you want to just come, help out, sponser or donate please contact me for more information. We will provide event timing and swag bags.